Join our live video event where our panel of experts will be debating the impact of climate change, and outlining what can be done about it. Our Head of Sustainable Research Andy Howard will be joined by fund manager Simon Webber and two of our clients, Thomas Baden Fabricius from Danske Bank, and Jillian Reid from Mercer. Each expert will be putting forward their ideas about how to deal with these challenges, and suggesting where opportunities can be found. You will also have the chance to join the conversation, sending your questions live to the panel which will be moderated by our independent host, Angus Foote from Citywire. Listen to our panel of experts discuss the outcome of the UK election and its impact on global markets. Watch on demand as our experts discuss the impact of the French election; ECB monetary policy; a potential rotation into Eurozone equities; and US growth and challenges to Trump’s policies. Listen to our panel of experts discuss the outcome of the US election and its impact on global markets. Join our panel of Schroders' experts: Keith Wade, Chief Economist, Johanna Kyrkland, Head of Multi-Asset Investments and guest host Manus Cranny, Bloomberg's European Markets Editor. Together they will discuss the latest hot topics affecting global markets and explore the opportunities and challenges that investors may face in 2016. 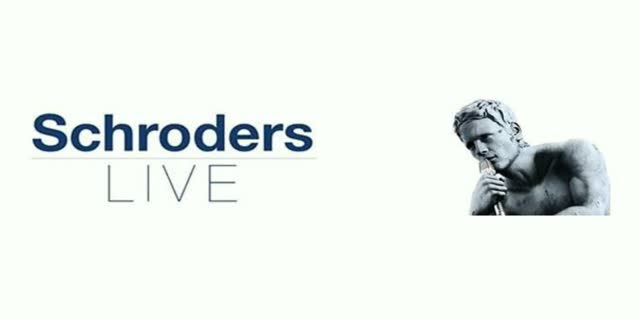 Join Simon Webber, Keith Wade and host, James Cardew, on Tuesday 19 May for ‘Schroders Live’. The debate will shine a spotlight on key macro-economic and topical issues.